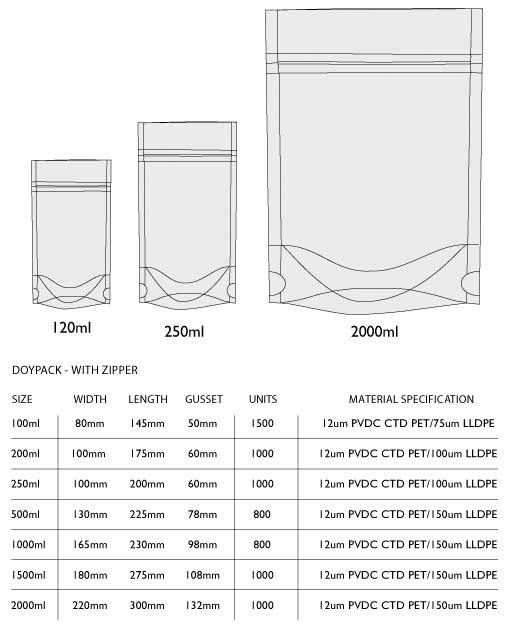 Amongst other plastic products, our largest product line is the stand-up pouches and zip lock bag. This is a huge bonus for our clients as it provides on-shelf visibility and also it's economical as the client is able to re-seal the bag. These bags are used mainly for packing soups, sauces, fresh snacks, nuts and herbs etc. Also, it can be used for non-perishable items, such as, hardware, bath-salts etc.